I don't know why I first read Gil Bailie's Violence Unveiled. It was quite a while ago, perhaps ten years or more. I don't even remembering reading it for the first time. I do remember leading a discussion group at the church about it. I read it after I had identified as a UU Christian. 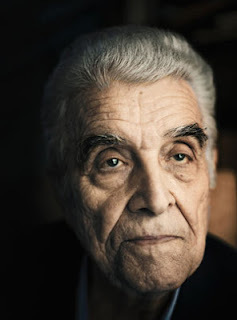 Bailie introduced me to the thought of Rene Girard, and by Girard I was inspired to a much larger vision of the work of the Holy Spirit. An expanded view of the Holy Spirit is an important part of how I re-imagine Unitarian Universalism, today. 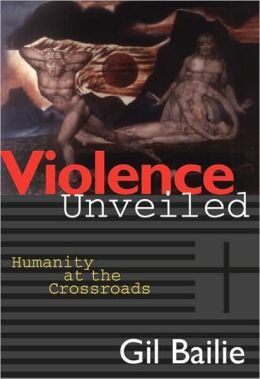 Violence Unveiled is an exposition of the thought of Rene Girard. Rene Girard is a living French literary critic, anthropologist, philosopher and Christian apologist. He is probably 90 now and teaches at Stanford. He has influenced a whole school of thinkers in a variety of fields. How to explain Girardian theory? There are really two parts to it. One is a theory about human beings, how they relate to each other, and how that shaped human culture. Girard says that people operate by mimesis or imitation. We want what other people want; we imitate their desire. Basically, we don't really see the value of anything or anyone until we observe someone else valuing it, and then we imitate their desire. It's why kids surrounded by toys, will want the same one. It is why fashion works. It is why we think Brad Pitt is handsome. It means that everyone is both a model and a rival: a model because we are copying what they want, and a rival because now we are competing for the same object of desire. Mimetic rivalry leads to conflict, because each member of a group wants the same thing. Conflict leads to scapegoating. Not only do we imitate each others desires, we imitate each others' rejections and condemnation. In a situation of great conflict, suddenly everyone unites against one, who now seems to be the cause of all the conflict in the system. Scapegoating creates unity, as the group is united, the many against the one. It also creates sacrificial violence, as the scapegoat is expelled or killed. more mythic than research based as anthropology. But here is where Girard has his most profound insight. Sacrificial violence, the killing of the scapegoat, produces myths, or more bluntly, lies. A story must be told that justifies the violence of the many against the one. What emerges is a set of lies about the victim and another set of lies about the group. The victim was extraordinarily evil, and we, well, we were extraordinarily brave when we turned on him or her. You might even say that we were acting for a divine power. We see this at work even today. That's part one of Girardian theory. It's interesting, but frankly, I didn't need to read another big theory that explains all of human behavior. After all, I've read Marx and Lenin already. On the other hand, Girard's analysis of the Bible rocked my world. Girard believes that the ancient Hebrews and the early Christians decoded and deconstructed this process of sacred scapegoating and myth making. For Girard, the Bible is multi-voiced and contradictory, but it wrestles with mimetic rivalry and violence. There are stories on all sides of this: many stories of rivalry and scapegoating violence, but also stories which begin to raise doubts about those narratives. Stories to consider from this point of view are Cain and Abel, the story of Hagar and Ishmael, of Abraham and Isaac, the story of Jacob and Esau, Joseph thrown into a pit by his brothers who envied his coat. The Story of Job; Girard says that the misfortunes of Job are mythic justifications for the crowd turning against this leading man of the community -- and the desperate effort of his friends to make Job understand and accept the lie that somehow he deserved it. It is not resolved in Job, because Job ultimately gives up. 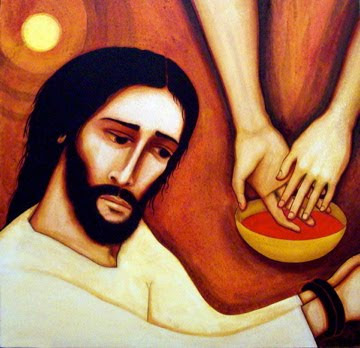 But the process is finally resolved in the story of Jesus, according to Girard. Jesus was an innocent victim and scapegoat; the crowd mysteriously turns against him and he is executed. (The great unexplained hole in the center of the Passion story is "what is the crime?".) And his followers, despite their initial vacillation, document his innocence. They resist the myth-making that Jesus claimed to be a rival King, or a military messiah. They say he was innocent. And in so doing, they exposed the power structure of Jerusalem, calling out the complicity of the leaders of the Temple, the Roman authorities, even the people in the street in the wholly unnecessary death of an innocent man. The story even spotlights the vacillation of Peter, the most stalwart disciple, showing how even the most committed can be caught up in the contagion. It's an interesting read of a familiar story. But Girard says that this exposure of the myth of sacred violence is at the heart of the gospel. The heart of the gospel is humanity has a capacity for sacrificial violence, but it has learned to recognize it and to rejects the myth it creates. It is a contested gospel, because the church itself has fallen backwards from its own knowledge and makes Jesus into a sacred scapegoat. But the real gospel is that the victims are innocent, and that the powerful justify their power with lies about their victims, themselves and the meaning of their violence. Jesus says in the gospel of John that when He has gone, He will send a Holy Spirit who will be the Advocate and the Defender. The Advocate of whom? The Defender of whom? The innocent victims of our human scapegoating. 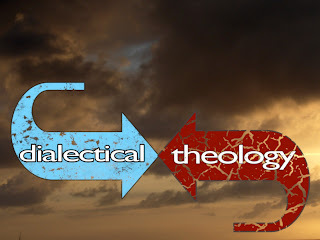 This rocked my world; I had reconsider the dichotomy that had been set up between mainstream Unitarian Universalism and Unitarian Universalist Christianity. It was no longer so clear that mainstream UU's had abandoned the gospel to which the UU Christians had remained loyal. When we UU Christians said that we stood on the gospel, did we have a cramped vision of the gospel in mind? Perhaps we had more to do than convince our congregations to observe the Christian year, and to pray together on Sunday, and to study the Bible on occasion. Perhaps the gospel had broken free of the religion built to contain it, and was free in the world, moving anyone who could see it. How did Unitarian Universalism, with its reflexive antipathy to conventional Christianity fit into a world like that? 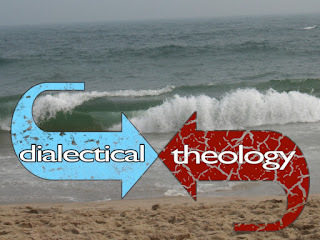 I would argue that "Mainstream UUism" (to the extent that the term is not an oxymoron) has never abandoned the Gospel. What they *have* largely abandoned, for reasons that are confusing to anyone but perhaps most of all to themselves as they try to articulate and evangelize it, is its association with Jesus and its foundations in the Bible. I will have to think about this, but on first take I prefer Hosea Ballou, who dealt with the violence, but saw people as basically good and the myth of God's anger as where mainstream Christianity went wrong. LdeG, why would humans need to construct a myth of an angry God, if humans are so good? Girard argues that people, especially in ancient times, experienced the contagion of mob violence as an external force coming over them, and mythologized that as God's work. "We did not kill the victim, God did." Myths don't make people do evil things they don't want to do. Myths enable people to do bad things that they want to do. When you try to contain God within the Book or the Church of one kind or the other is it any surprise to find He was already free? Who then have been contained? Interesting article. Going beyond Christianity from a solely UU context from here. Groups have a birth and death process. All groups. New groups are often birthed from old ones in an almost parasitic way. The old Host is slow and weak and the new ones rip it apart even as the Host fights for it's very survival by killing the parasites they can. This antipathy to Christianity is something like the afterbirth. It will pass but with it the entity of the original host. Few know the Power and Glory of the Holy Roman Pantheon but it was much like Christianity once. There are many new groups of religion, and perhaps anti-religion, born as we know. Some will survive and thrive and others will not. What matters is how functional they are. That they exist shows a level of functionality already. I have written that from a somewhat negative standpoint. After all parasitism might be natural but it sure feels repulsive. However, looking from the other side birthing is beautiful amongst the mess. There are new children. They carry with them something of their parents but also something of themselves. With hope they carry the best of their parents and leave the worst behind. They hold the energy and light of the future. I believe in times to come the parents will facilitate birth and accept the cost to themselves. The children and parents will lose the hostility so these religious birthings will be far less disruptive. 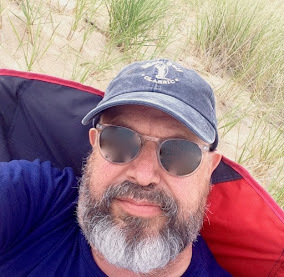 Knowing that truth always resides somewhere beyond the dichotomy, I've believed for some time that Unitarian Universalists needed a way to transcend our own literalisms into greater authenticity and relevance. But how? Holy Spirit as a transcendent metaphor? I like it!